It’s really hard to talk about Victims. It’s much easier to talk about victims. A victim is someone who was harmed, injured, or killed as a result of a crime, accident, or intentional action. Little “v” victims are people who’ve been struck by misfortune, a trial, or tragedy. They’ve certainly dealt with terrors. They’ve been wronged. They’ve suffered abuse and lived to tell about it. They’re survivors. They learned their lessons, collected their testimonies, healed their wounds, and moved forward to create new stories. Victims are in a whole different camp. A Victim is someone who is perpetually harmed, injured, or killed as a result of a real or perceived crime, accident, or intentional action. Victims stay stuck in cycles of abuse (in their real life and in their own mind…so much so that the two can become almost indistinguishable). A primary way to understand a woman who embodies Victim as a lover identity is to listen to her language. A Victim commonly speaks in absolutes and deep negatives. She does this when talking about herself, other people, and especially when talking about relationships. “I’m the only one who’ll get it done. When a person lives their life by absolutes and deep negatives, a lot of things are hidden. Details remain unseen. Omissions are problematic because black and white paradigms are only helpful for equations. However, love and life rarely add up. So, getting comfortable with some inexplicable gray really helps in developing peace with reality. Not to a Victim though. Victims make careers out of binaries because a Victim feels safer and more powerful when she can say she’s right and you’re wrong, you made unforgivable mistakes and she did not, you screwed up and she got screwed, you always took and never gave, while she always gave and never received, you were the perpetrator and she was…you guessed it. The Victim. When a woman embodies Victim as her lover identity, she gets to be a martyr. She can point the finger and sidestep accountability for any hurt or misunderstanding. 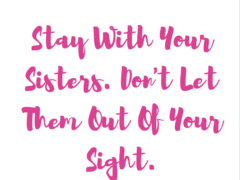 She can keep a hidden tally of the many wrongs you’ve exacted against her and use her running list of indefensible errors to discredit and eliminate you. Then, she can garner high praises for her steep sacrifices. Which, ironically, are not undeserved. Even if many of her sacrifices and collected burdens were self-constructed, she still made them, and carried them out. She deserves some praise, certainly some admiration, for always being the one to sacrifice, never being the one to let anyone down or make any mistakes, and for doing all the heavy lifting in every relationship. Except, the absolute, unrelenting self-righteousness just doesn’t fit. It isn’t real. It can’t work because no human being is infallible, even those who’ve been wronged. Nonetheless, a Victim can’t accept that she has any room to grow. She’s been through too much, seen too much, endured too much to imagine herself as in need of examination, critique, or growth. No. Not her. Her story let’s her off the proverbial hook. Everytime. Everyone else is in need of being checked. Everyone else is wrong and at fault. Not her. So there’s no point in reading this post. A Victim will not read this. 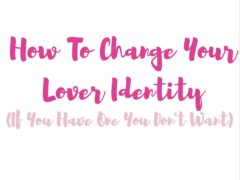 However, if you are reading this and you’d like some information about a different lover identity, one that can free you from the revolving door of terror, join the Supreme Love Movement and learn more.